As an illegal Second Child, Rowan has been hidden away in her family’s compound for sixteen years. Now, restless and desperate to see the world, she recklessly escapes for what she swears will be only one night of adventure. Though she finds an exotic world, and even a friend, the night leads to tragedy. Soon Rowan becomes a renegade on the run – unleashing a chain of events that could change the world of Eden forever. I’m not very familiar with Joey Graceffa other than I know he’s a Youtuber. 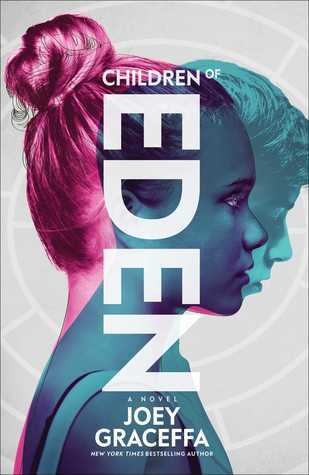 I haven’t found a fictional book written a Youtuber, celebrity, or athlete that I was impressed by so I didn’t have very high hopes for Children of Eden. This book isn’t bad by any means but it was exactly what I was expecting. It was okay. It was a nice book but not all that remarkable, in my opinion. I liked the concept of the book, I thought that was original and creative, but everything else was pretty basic. The writing style seemed inexperienced and the characters were a bit plain. Overall, if you’re a big fan of Joey, I think this book is worth buying. It’s not bad and if you’re not a very critical reader, I think you might like this book. But if you’re looking for an amazing read, I don’t think book is it. I received an unsolicited copy of this book from the publisher. This does not affect my opinion of this book in any way.